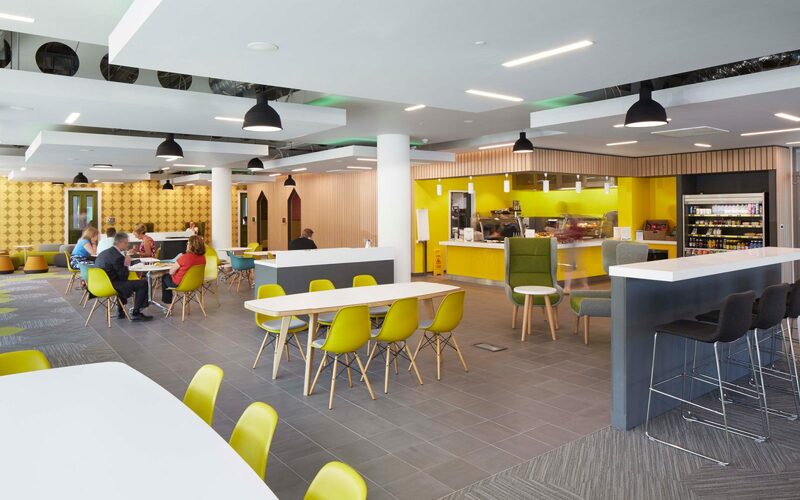 Located in a new build three storey office in Birchwood Business Park in Warrington, this 5plus project has comprised the fit out of the new headquarters for Your Housing. 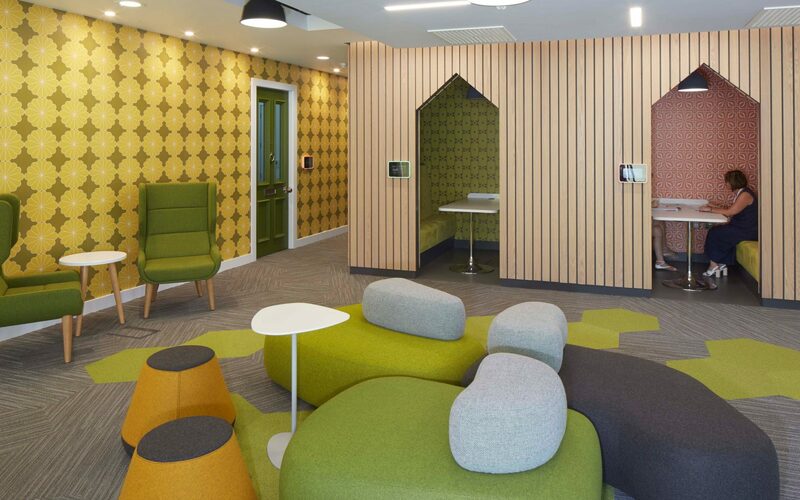 The brief was for a fit out that allows the housing association staff to work in more collaborative and creative ways. 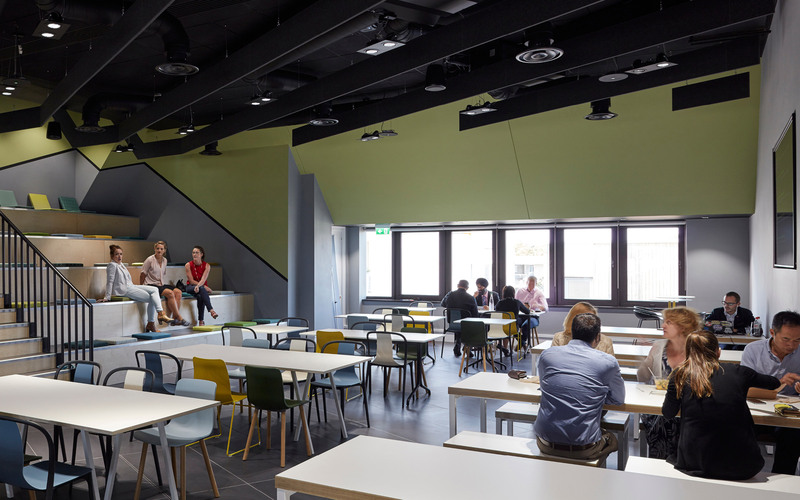 The design includes a number of traditional workstations shared by the staff but is complimented by a more playful approach for the collaborative areas. 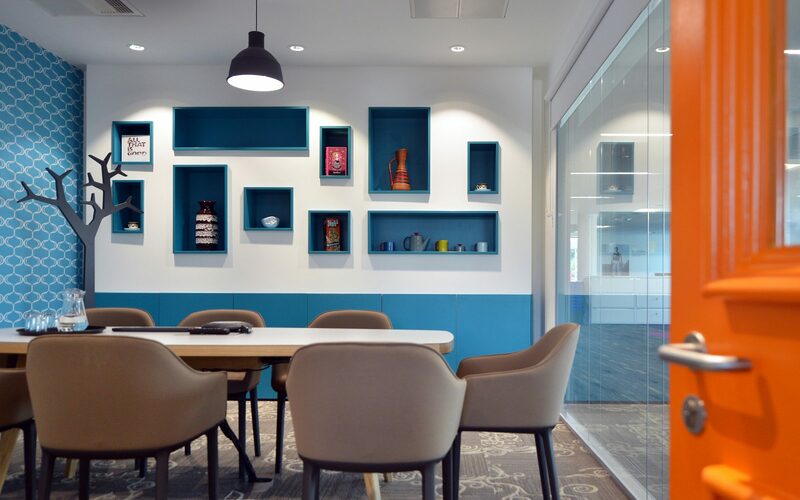 Furniture is selected and positioned to create informal team working, semi-private meetings, and storage. 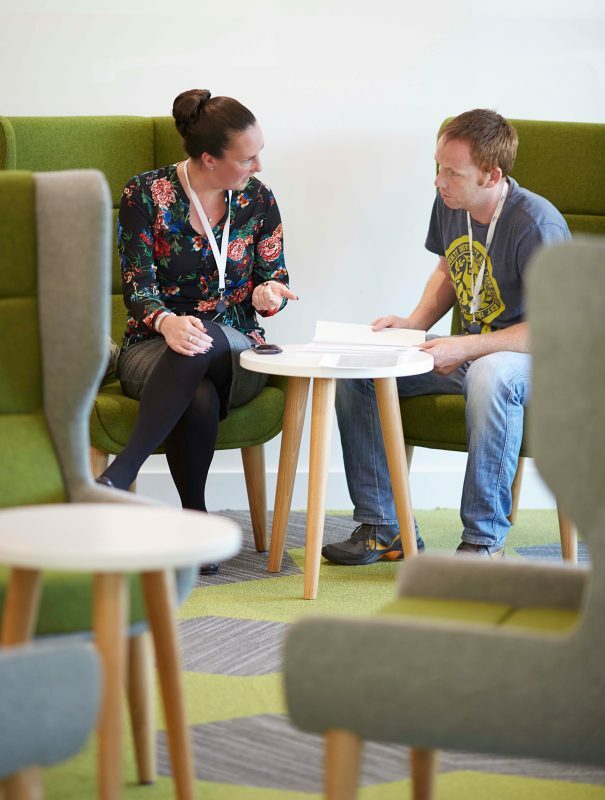 On the ground level a Customer Academy is created for meeting and training. 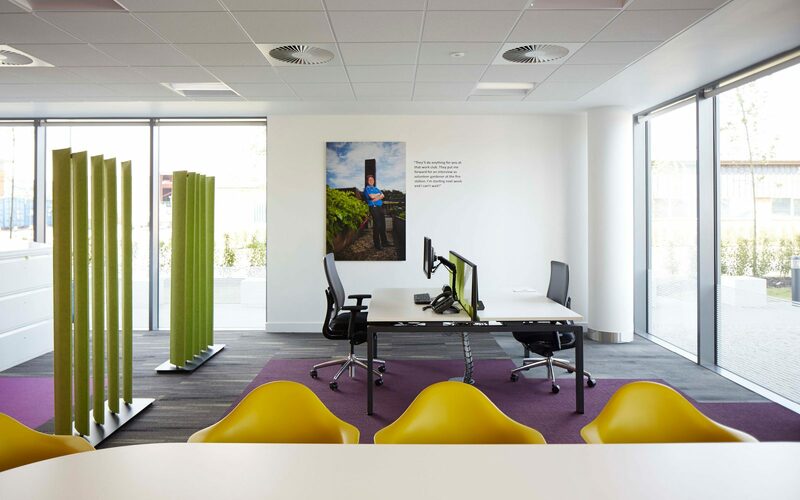 The space brings together a wide range of people undertaking a wide range of work activities. A cafe is provided within the Academy. The creative interior design and mix of furniture provides a relaxed setting for working and relaxing. The finishes are inspired by the domestic colourful materials used throughout to create a non-corporate but fun environment. 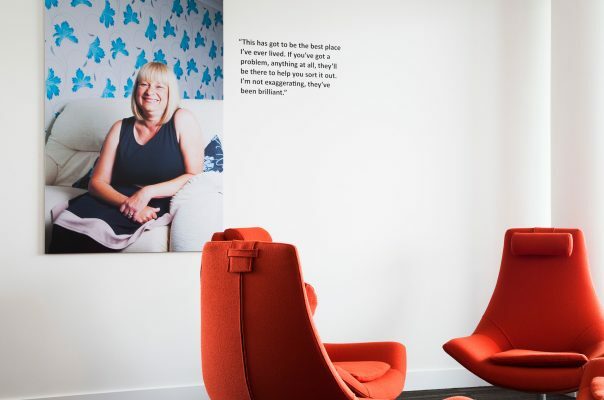 A photographic commission of Your Housing clients was a means of engaging with service users and linked quotations and prints are mounted on the walls.